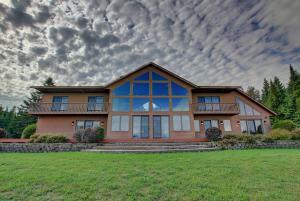 Northern Michigan Hunting and Fishing Lodge for sale. 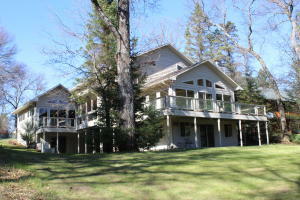 Detroit Hunt & Fish Club Pristine 640-Acres with 2-Lakes. Huge Lodge Accommodates about 20-People with Large Kitchen and Caretakers Quarters. 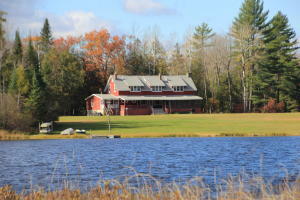 Lakes are Exclusive to this Property and have never had Gas Operated Motors on them. The first Lake is about 20-Acres and about 90-Feet Deep with Pike, Bass, Crappie. Lots of Wildlife including Deer and Bear on the Property. The Second Lake is Shallower and excellent Waterfowl Hunting. 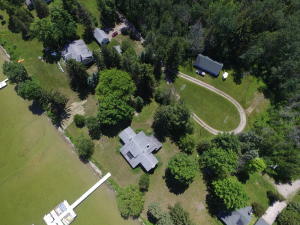 Miles of Trails Throughout this Property give easy access. Additional 120-Acres available across the road. Surround yourself with nature and tranquility with this rare opportunity to own 106 acres of hardwoods and cedars with over 1/2 mile of frontage on all-sports McCormick Lake. 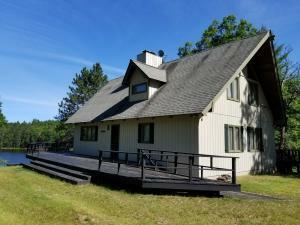 Located between Lewiston and Atlanta, this 1/4 log sided home offers fully finished 3 story walkout with 3 bedrooms and 3 bathrooms with stunning views of the lake. 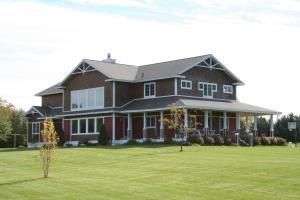 Maple floors, custom paneled doors, stainless steel appliances, central air, tiled bathrooms, and back-up generator. Above the fully insulated and heated 2-car garage find a nearly 700 SF fully furnished 1 bedroom apartment with full kitchen beautifully finished with hardwood floors, custom doors/trim and tiled bathroom. Plenty of room for all your toys in the frame-built 30x40 garage with 10' side walls and a 10x40 lean-to. N Michigan at its finest. Surround yourself with nature and tranquility with this rare opportunity to own 106 acres of hardwoods and cedars with over 1/2 mile of frontage on all-sports McCormick Lake. 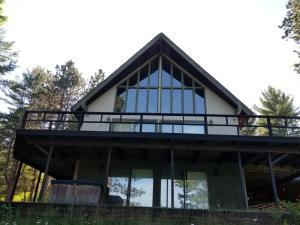 Located between Lewiston and Atlanta, this 1/4 log sided home offers fully finished 3 story walkout with 3 bedrooms and 3 bathrooms with stunning views of the lake. 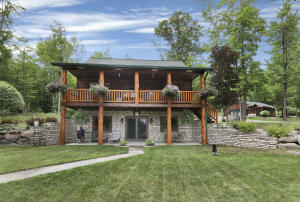 Maple floors, custom panelled doors, stainless steel appliances, central air, tiled bathrooms, and back-up generator. Above the fully insulated and heated 2-car garage find a nearly 700 SF fully furnished 1 bedroom apartment with full kitchen beautifully finished with hardwood floors, custom doors/trim and tiled bathroom. Plenty of room for all your toys in the frame-built 30x40 garage with 10' side walls and a 10x40 lean-to. N Michigan at its finest.